Did you know that you can use Java to build cross-platform mobile applications for iOS and Android? And that you can create enterprise applications in a breeze with tools like Gluon Mobile and Gluon CloudLink? 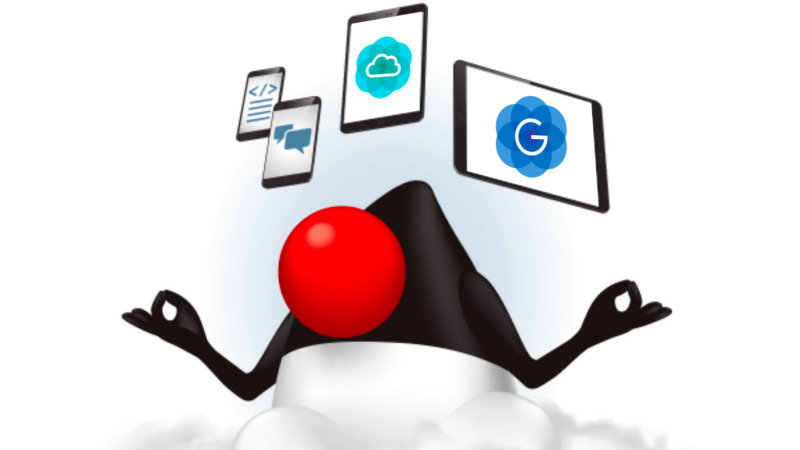 Learn about fast prototyping and development of Java applications on mobile, using your Java skills, IDEs and Gluon open source and commercial tools. Thanks to José Pereda in this session we will revisit the state of the latest developments (JDK, Gluon VM, JavaFX) and see how we can build applications with one cross-platform Java API and deploy to mobile platforms, with compelling UI, native services integration, and seamlessly connection with the cloud and enterprise back-end, taking profit from improved security and common mobile features such as push notifications, authentication, data synchronization or persistency, among others. 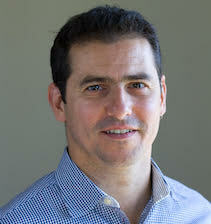 José Pereda, PhD in Structural Engineering, works as a software engineer at Gluon Software and he is a Java Champion, Oracle Groundbreaker Ambassador and JavaOne RockStar. Being on Java since 1999, he is a JavaFX advocate, developing Java applications for mobile and embedded platforms connected to the cloud and enterprise systems, while he also works on open source projects (OpenJFX, FXyz3D), co-authoring JavaFX books (JavaFX 8 Introduction by Example, JavaFX 9 by Example), blogging, tweeting (@JPeredaDnr) or speaking at JUGs and conferences (JavaOne, Devoxx, JAX, Jfokus, JavaLand, JCrete, JBCNConf,…). José lives with his family in Valladolid, Spain. Thank you one more time to Everis and their Living lab! They will provide the venue for hosting the event and some food and drinks to have some networking after the session. Remember to book your seat & happy coding! Ready for our next event? We hope so! This time we invite you to participate next Saturday 17th in the Global Day of Coderetreat. Coderetreat is a day-long, intensive practice event, focusing on the fundamentals of software development and design. By providing developers the opportunity to take part in focused practice, away from the pressures of 'getting things done', the coderetreat format has proven itself to be a highly effective means of skill improvement. Practicing the basic principles of modular and object-oriented design, developers can improve their ability to write code that minimizes the cost of change over time. After each round, we will throw out your code and repeat! This event will be possible thanks to Codurance, they will host event and all the drinks and food we will have during all the day (including coffees and other beverages), so thank you so much for your support! Hope to see you there and do not forget to RSVPed in Meetup! Ya estamos de nuevo a la carga con un nuevo evento (próximo 29/9) organizado en colaboración con la comunidad Hispana! Java 10 viene con muchas características necesarias para ejecutar aplicaciones JVM en Docker. El objetivo de este taller es desplegar una aplicación Java usando Docker & Kubernetes con los ajustes y límites de memoria y CPU adecuados. En esta sesión, construiremos una imagen de Docker con una aplicación Java basada en el framework Netty. Esta aplicación tendrá un tamaño muy pequeño siguiendo las mejores prácticas de Docker y se aprovechará de Java Platform Module System (JPMS) presentado en la versión JDK 9. 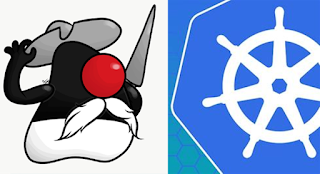 Desplegaremos la aplicación en Kubernetes y la escalaremos para demostrar cuán poderosa es hoy en día la JVM en conjunto con Docker y Kubernetes. Luego expondremos las métricas de aplicaciones y JVM, que serán consumidas por Prometheus, un sistema que registra datos de series temporales (telemetría) para monitorear y alertar, y usaremos Grafana para consultar y generar métricas desde los pods de la aplicación. Durante todo el workshop, descubriremos los errores más comunes al trabajar con Docker y la JVM y cómo evitarlos. Únete a este evento, reserva tu plaza y haz parte de las comunidades de habla hispana! Si es posible trae tu laptop o equipo portátil para practicar con nosotros, tendremos 2 horas de sesiones técnicas y ejercicios prácticos. Antón Rodríguez Yuste: Antón es Director Técnico de Optare Solutions, consultora con sede en España y México, y co-organizador de los JUGs de Vigo y A Coruña, además de unos de los organizadores de XantarJ, la mayor conferencia Java de Galicia. Ismael Hassan: Tras algunos años con la Universidad de La Coruña haciendo desarrollos de Recuperación de Información, Ismael trabajó en Holanda y Abu Dhabi para, finalmente, incorporarse a Elastic donde trabaja como Ingeniero de Soporte desde Coruña, ciudad en la que además co-organiza el Java User Group. Los grupos de usuarios de Java de España y Latinoamérica nos hemos unido para compartir conocimientos. Empezando en febrero del 2018 nos hemos ido reuniendo cada 2 meses para realizar talleres sobre temas de tecnología de gran interés en nuestras comunidades. We are back again with another great event for this month! Have you ever wanted to build an Alexa Skill? Now is your opportunity to join us for a half day (1/2) session in the Amazon Barcelona office on the 18th of September to learn the basics to publish your first Skill. The session will be led by Alexa Evangelists German Viscuso and Memo Doring. German works in Alexa Skills Kit Spain as Technology Evangelist and he is a fan of computers since he was 8 years old. He started his professional career as a software developer and later transitioned into developer advocacy roles. Memo is Senior Solutions Architect at Amazon Alexa and has 10 years of experience in the field of mobile technologies, serving in a variety of positions at Research In Motion, Apple and Amazon. 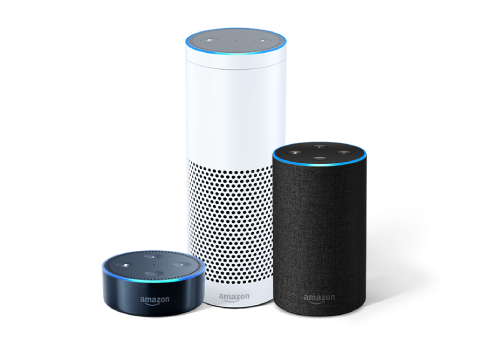 He currently focuses on working with developers to help them successfully create new skills for Amazon Alexa. Fully charged laptop to the event. We look forward to seeing you there, and remember, seats are very limited! First come, first served ! Sign up here and see you next Tuesday 18th! We're back on stage starting the season with a new meetup next 20th of September in the Everis LivingLab !!! Antora is the last iteration in the Asciidoctor ecosystem. Asciidoctor has proven to be an excellent solution to write all sorts of documentation with its embedded features, extensibility and because it’s fun! "Docs as code" is no longer a new thing, and now Antora takes it a step further and offers a platform to aggregate, render and publish your documentation from different versioned repositories into ready-to-publish sites. In this session we see how Antora can help you by simplifying your documentation pipeline, encouraging good practices and above all, ensure your documentation stays up with the quality of your code." Software engineer working at everis. Coming from a career focused on Content Management solutions around Java technologies has recently shifted to cloud solutions in Azure. Strong advocate for open source philosophy, and the importance of good testing and documentation. Contributes maintaining the asciidoctor-maven-plugin and lending a hand wherever he can. Software engineer at Red Hat in Developers group. He is a passionate about Java world, software automation and he believes in the open source software model. Alex is the creator of NoSQLUnit project, member of JSR374 (Java API for JSON Processing) Expert Group, the co-author of Testing Java Microservices book for Manning and contributor of several open source projects such as Arquillian ecosystem or Asciidoctor. He is an international speaker presenting his talks at software conferences like Devoxx, JavaOne, JavaZone or JavaLand. We are back again on stage, and this time with another interesting talk presented by a key speaker : Georges Saab , VP of Development for the Java Platform Group at Oracle. As one of the most pervasively used technologies in our lifetime, Java continues to innovate the application world around us. Through continued modernisation Java offers developers a contemporary language and platform to create the next generation of rich, scalable, and secure enterprise applications. 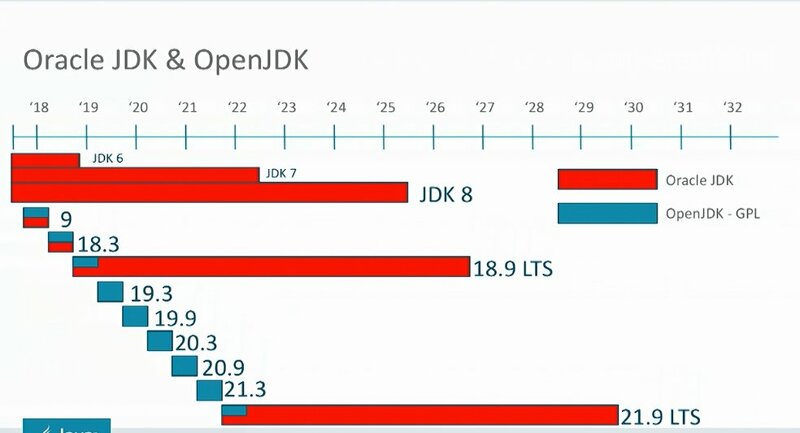 And as the technology landscape changes around us, often times at an ever-more increasing pace, Java is primed to offer developers continued uniqueness to address new-found opportunities. 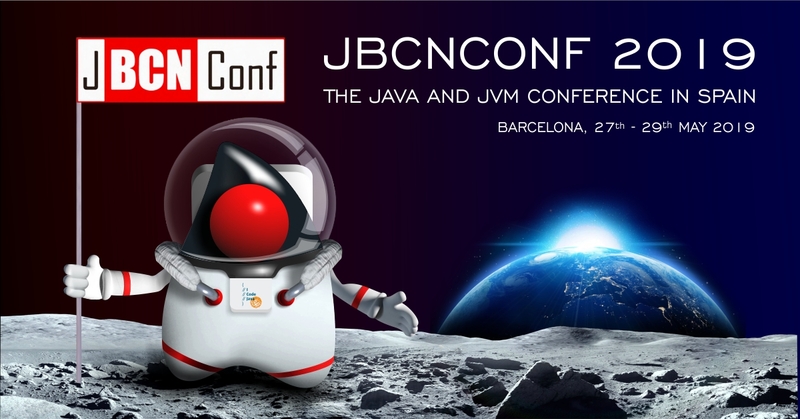 In this session, learn how Oracle continues to steward ongoing Java technology enhancements that allow developers the ability to improve and accelerate application innovation, as well as develop and deploy solutions especially for the the modern enterprise cloud environment. Don't forget to Register !!!! !